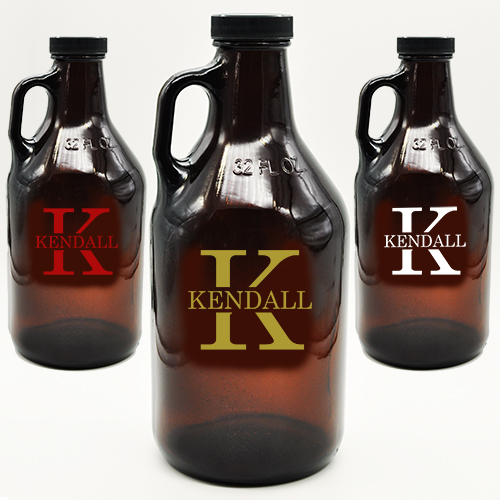 Add your hand-crafted beer to this Personalized Monogram Amber Growler by including an initial and last name. Friends & family will love seeing it on display. Your best home made beer or wine will need a home once it has completed the creation process. 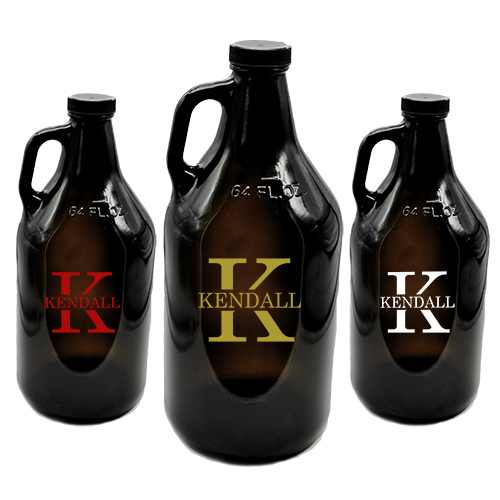 This 32 or 64 ounce amber growler with your personalized monogram & name is the perfect vessel to hold your craft. Choose your sandblasting color: natural eteched, red, white or gold color filled. Growler is customized in the USA. Screw top lid included. Hand Wash Only!